It’s dusk on a warm, languid, midsummer’s evening on the Backs by the Cam. The water is calm, the swans are roosting and the occasional swift swoops low over the water to collect a tasty morsel. Breaking gently into the stillness can be heard the sound of a choir singing “Draw on sweet night! Best friend unto those cares, That do arise from painful melancholy,” John Wilbye‘s heart-rending madrigal which is the traditional end to each Singing on the River concert. This annual event, along with the Festival of Nine Lessons and Carols are the two musical occasions most closely associated with the 800 year old University. Unlike the university though, they are both modern traditions (if that’s not an oxymoron). Established in 1928 by the Cambridge University Madrigal Society directed by Boris Ord, Organist and Choirmaster at King’s College, these concerts quickly became a much-loved highlight of the musical calendar and a key part of the May Week festivities. Who could fail to be moved by such a quintessentially English occasion: punts lashed together on the water beside King’s College or Trinity College bridge, lit with lanterns, from which the choir performs a range of madrigals and part-songs. The concerts were given “under King’s College bridge” by Boris Ord and the Madrigal Society until 1956 (with a short break during the Second World War, when Harold Darke took over whilst Ord was away on service in the RAF) after which the baton passed to Raymond Leppard, who being a Trinitarian, soon moved the venue upriver to Trinity Backs. 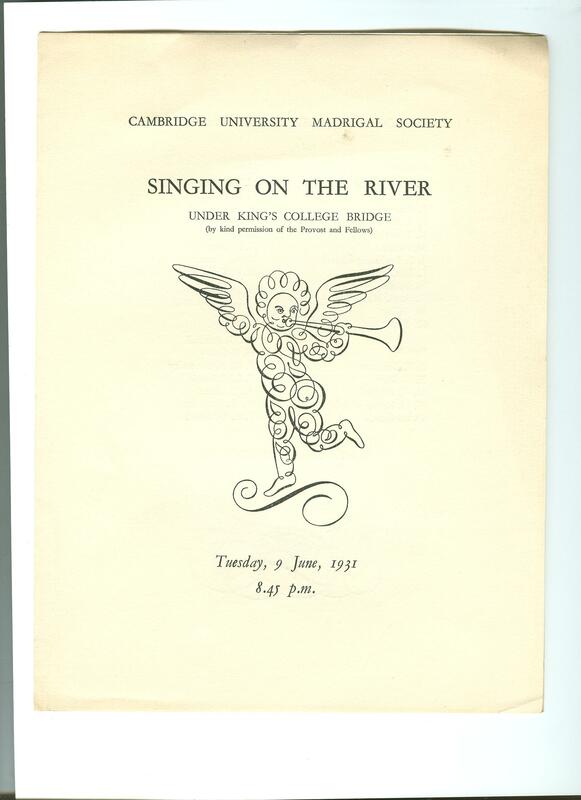 Following the demise of the Madrigal Society in 1968 when Leppard left Cambridge, the Singing on the River tradition was taken over by the newly-formed Cambridge University Chamber Choir, directed by Richard Marlow, Director of Music at Trinity and subsequently, by Trinity’s Chapel Choir. The music remains reassuringly constant: a mix of English madrigals from composers such as Byrd, Morley, Weelkes and Wilbye often complemented by their Italian counterparts such as Marenzio and Monteverdi, blending with atmospheric choral works by composers including Britten, Poulenc, Barber, Moeran and Vaughan Williams, but always, always, ending with Wilbye’s Draw on sweet night. 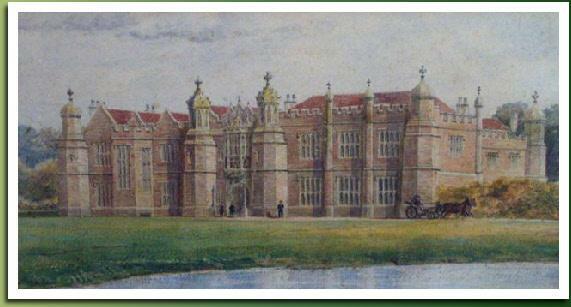 John Wilbye (1574 – 1638) was, for over thirty years, employed as a musician at Hengrave Hall, home of the Kytson family, near Bury St. Edmunds in Suffolk and published his Second set of madrigales, containing Draw on sweet night in 1609. David Brown, in his article on Wilbye for Grove (v.20, pp.410 – 412 in the printed edition), argues that not only is this the finest collection of English madrigals, but that Draw on sweet night is the finest of all English madrigals. Absolutely. 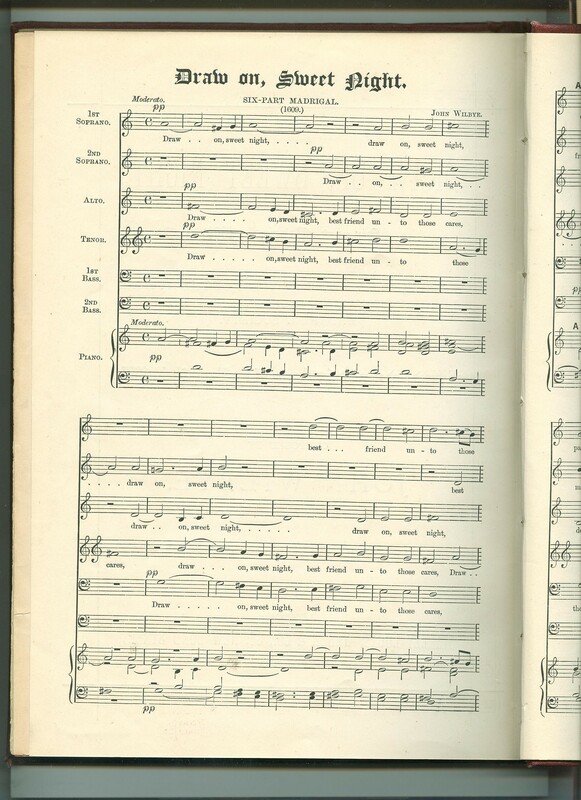 The archives of the Madrigal Society are housed at the University Library and include a complete set of programmes which make interesting reading, reflecting as they do subtle variations in repertoire yet remaining constant in their overall character. There is also a supplementary collection held as part of the Music Department‘s concert programmes collections. There are two opportunities to attend Singing on the River coming up: the first from Trinity College Chapel Choir on 12th June, followed on 26th June by Collegium Regale on the Backs at King’s College. This entry was posted in Uncategorized and tagged choral music, concert programmes, CU Madrigal Society, madrigals, part songs. Bookmark the permalink.